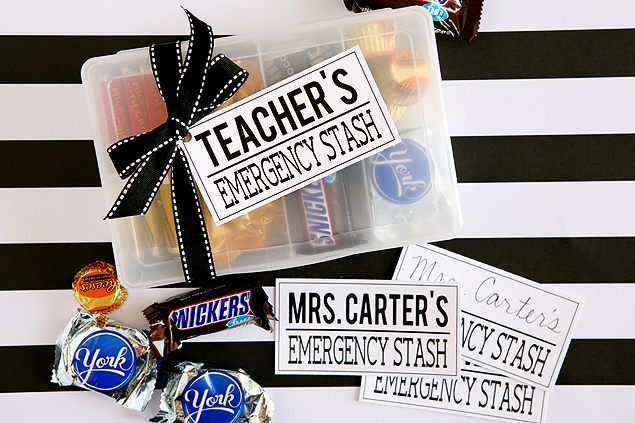 Are you wondering what to give teachers for teacher appreciation day? 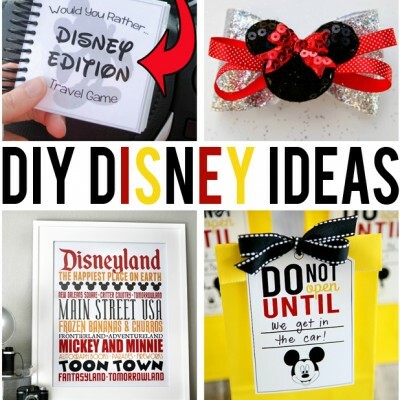 We have 12 of the best ideas for you! Are you ready to celebrate your Teachers?? Teacher Appreciation week is usually the first full week in May, but it’s really up to the schools as to when they want to celebrate it. Be sure to watch for flyers or ask to find out when your school will be celebrating their Teacher Appreciation Week. We LOVE celebrating our teachers. 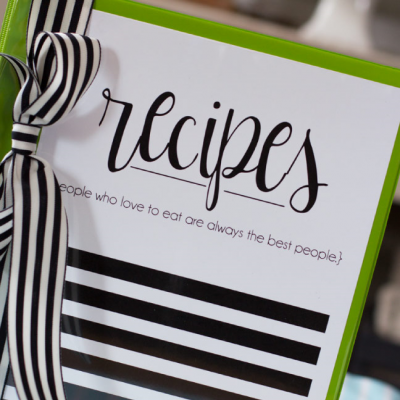 We probably have more Teacher Appreciation Gift ideas than anything else here on our blog. Teachers spend almost as much time as we do with our kids so it’s always nice to show some love and appreciation for them! Today we are sharing the perfect gift for teachers day plus we have some friends sharing their ideas for small gifts for teachers as well. 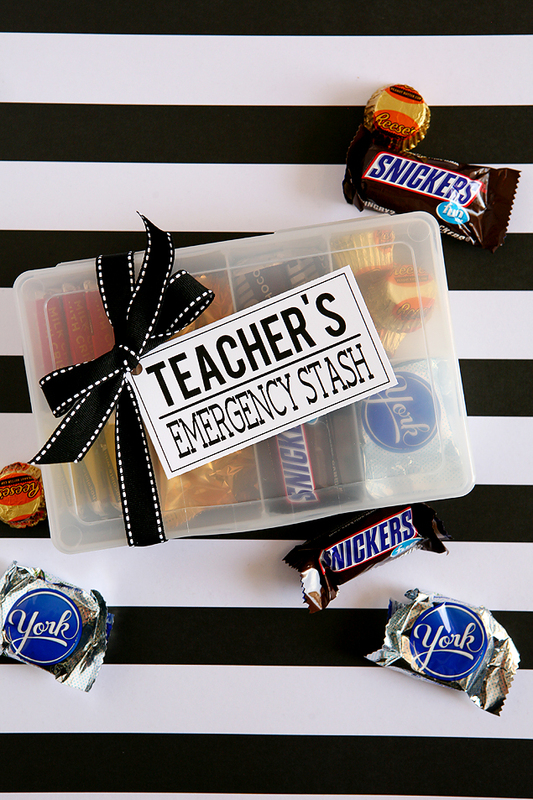 We made a Mom’s Emergency Stash last year and knew we needed one for the Teachers too. 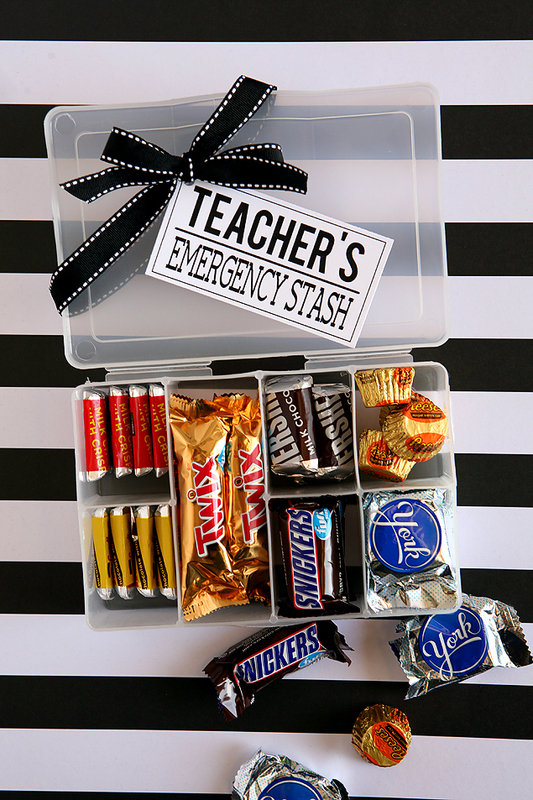 In the past we put together this Box of Teacher Goodies, which is very similar, but it didn’t have a printable tag. 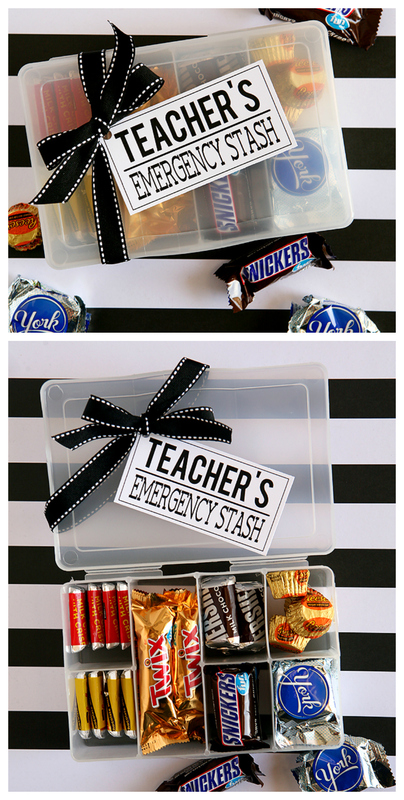 So now we do and it’s a cheap teacher appreciation gift that you can put together in about 5 minutes. If you’d like to edit the tag and add your teacher’s name use the blank tags. Or you can even just write your teacher’s name on one of the blank tags. Fill in all the compartments with chocolates. Then download, print and trim your tag. Attach it with some ribbon and you are done. 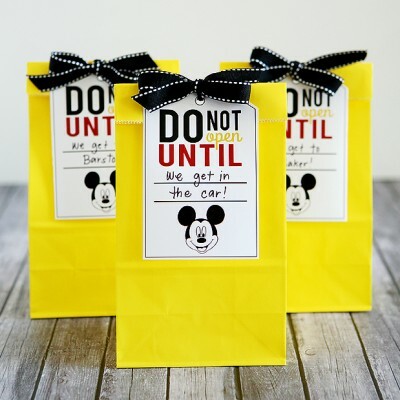 Isn’t it just the best teacher appreciation gift idea? And so, so easy!! Are you ready to see more homemade teacher appreciation gifts?Thanks to The 36th Avenue, Somewhat Simple, The Crafting Chicks, Eighteen 25, Your Homebased Mom, Lolly Jane, A Pumpkin and a Princess, Mom On Time Out, Tatertots & Jello,Skip To My Lou, I Heart Naptime, and Smart School House for participating in this awesome Blog Hop!We would love for you to meet our friends! My most memorable teacher was my high school English teacher. 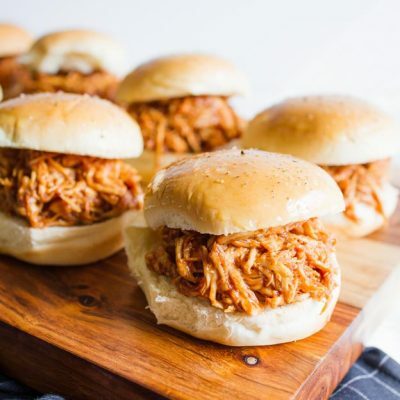 She wore a Puritan robe when we read The Scarlet Letter, we ate pickles from a ruby red pickle dish when we read Ethan Frome and she had a chambered nautilus for us to inspect when we read the classic from Oliver Wendel Holmes. I still have a paper that I wrote that earned a nearly impossible 100 and her comment “A rip and a hoot! Bravo!” She was inspiring and encouraging and truly an amazing woman! My 1st grade teacher was my favorite! She made me feel special and brought out my strengths. SUCH WONDERFUL IDEAS AND THANK YOU FOR THE PRECIOUS FREE TAGS!! Help! How to I add the teacher’s names to download? Download the blank tag and then use some kind of program like photoshop, photoshop elements or a free program called picmonkey. 🙂 Hope that helps!! My favorite was Mrs. Walters. She was our science teacher and she always made it fun and interesting. She really knew how to bring science to life in her classroom. My most memorable teacher was Coach Young. She was tough and no nonsense, but she was still respectful and had us actively engaged. My favorite teacher was Mrs. Briggs. There were so many great ones…Mrs. Johnson in 7th grade English was always hilarious and cool though. She made the boring stuff worth our attention. My 6th grade teacher Mrs. Tate!! She was so loving and caring at such an impressionable age she was heaven sent! 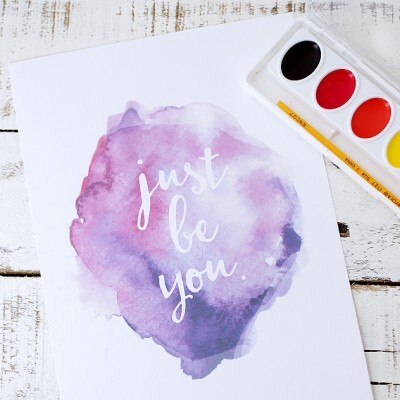 Thank you for this adorable idea and free printable! Definitely – Mrs. Laniel Reasch! 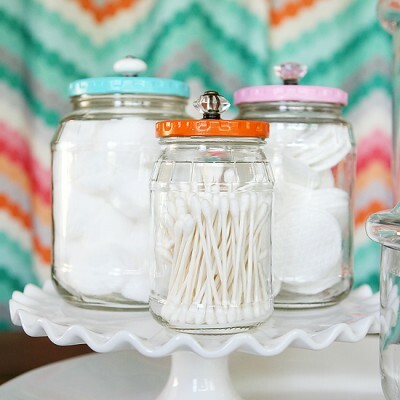 What size is the containers?